Today was a repeat of yesterday, just a beautiful day. We had a high of 77F and light southwest winds around 5 mph. There were blow toads and sharks caught around the Point today. The puppy drum bite was a bit slower down in Hatteras today. The inshore/nearshore report is a few bluefish, gray trout, sea bass and a triggerfish. 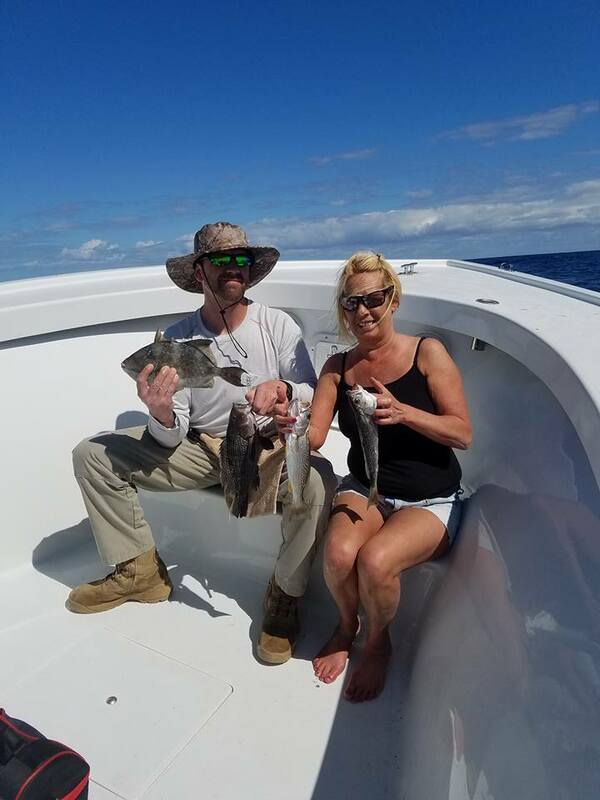 Pictured below is Bak Bar Sportfishing with a mixed catch. The offshore boats were reporting good bluefin tuna hookups today. Pictured below is Good Times with one in the water. Purty fish guys!! 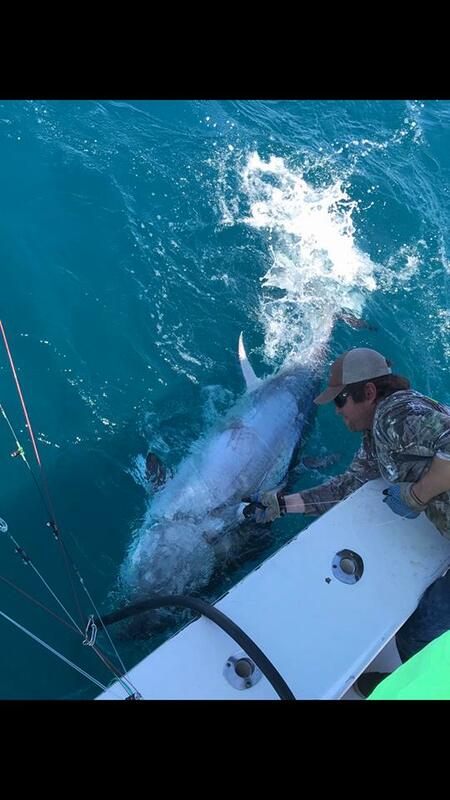 This entry was posted in Cape Hatteras Weather, Featured Products, Frisco Market, Local News, Uncategorized, What's Biting and tagged 2016-2017 NC Hunting Season, blow toads, bluefin tuna, bluefish, browning, CALCUTTA, costa, gray trout, Salt Life, sea bass, sharks, Smith Sunglasses, Suncloud Sunglasses, tervis, trigger fish, woolrich, yeti by frgstaff. Bookmark the permalink.